When college student Ryota comes home for the summer, a strange man is in his now-empty family home. Said man, Akira, quit his job because of relationship problems and left Tokyo for the countryside. However, he has no life skills whatsoever and is completely unsuitable for life in the country. Ryota, fearing that his precious home will be destroyed if Akira is left alone, says that he will take care of the housework if Akira lets him live there during summer vacation. 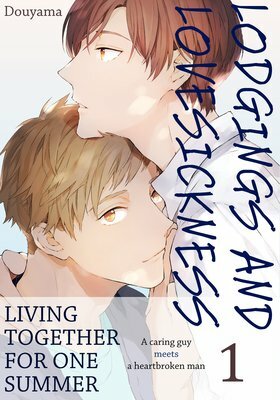 While living together, Ryota can't help but worry about Akira, who has built a wall between them but occasionally shows Ryota his weak side. Then one night, a sleepy Akira mistakes Ryota for someone else and kisses him. With that, their relationship slowly starts to change... A caring boy and a heartbroken man. How will this strange living situation work out for these awkward guys...?